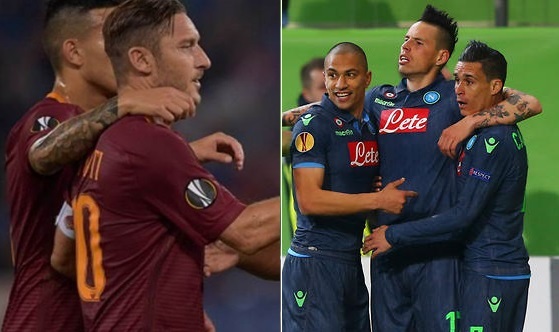 League leaders Napoli are set to take on top four hopefuls AS Roma in the Italian Serie A game on Saturday, 03 March 2018 at the Stadio San Paolo in Naples, Italy. Its a huge game in the title race and if Napoli can get three points here they will have psychological advantage over Juventus going into the business end of the season. AS Roma on the other hand must win this game to keep their chances of finishing in top four alive as they are currently 5th with 50 points on the table. This weekend Italian football will have important league game which involves first placed Napoli against fifth placed AS Roma side this Saturday night starting at around 20:45 CET / 19:45 uk time. This fixture holds significant importance in the title race as Napoli will be looking to maintain their 100% record this season and stretch the lead at top of the table while Roma must win this game to keep themselves relevant in this season’s title race. Last time these two meet Roma came out 3-1 winners thanks to a wonderful Edin Dzeko brace. 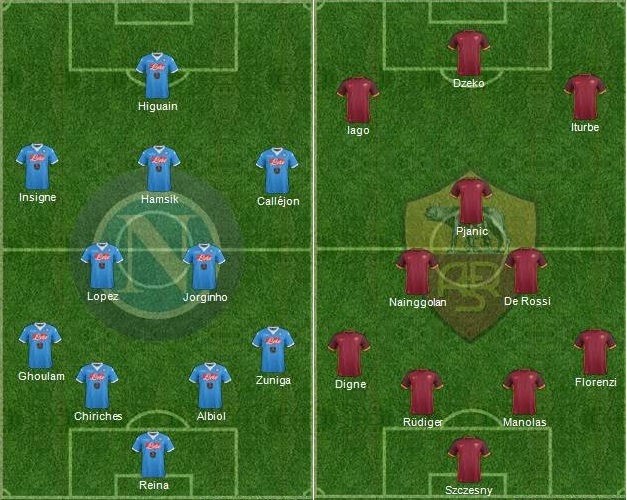 However this Napoli side is a total different beast and will be favourites even though playing in Roma this Saturday. 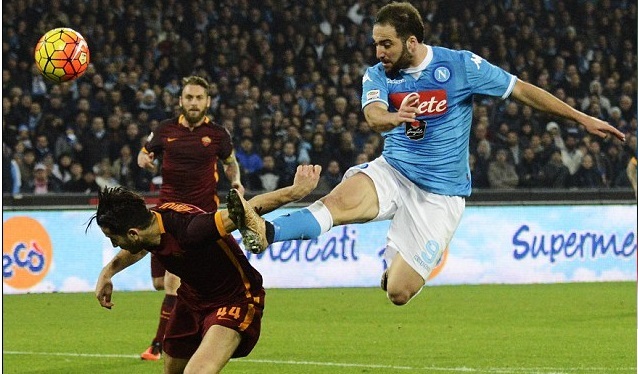 43′ 0 – 1 Edin Dzeko scored just before the halftime to break the deadlock as Roma went into the lead. 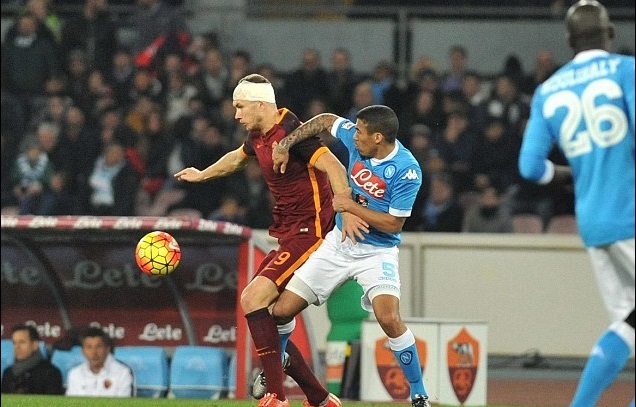 54′ 0 – 2 Edin Dzeko was on targer again just after the break as Roma took a comfortable 2-0 lead against Napoli. 58′ 1 – 2 Kalidou Koulibaly brought the home side back into the game minutes later when he scored in 58th minute. 86′ 1 – 3 Mohamed Salah secure all three points towards the end of the match scoring Roma’s third of the day. Napoli vs AS Roma Preview: Napoli has started the season stronger even without Gonzalo Higuain who left the club in big money transfer in summer 2016. New signing Milik has pretty much filled the gap left by the talisman but Napoli will be without his services this weekend. AS Roma on the other hand have been relying on 40 year old Totti who has contributed 5 goals and three assist mostly coming on as impact sub for Roma. Since the match is set to be played at Napoli home ground, they will be slightly favourite going into the match because Roma has been woeful away from home so far failing to win a single game away while Napoli has won all three home league games so far. Possible Lineups: A big game where stakes are higher should be a cracking game. I am leaning towards Napoli in this one as they look stronger at home while Roma have been riding their luck for most part this season. I am going with a 2-1 win for Napoli in this one. 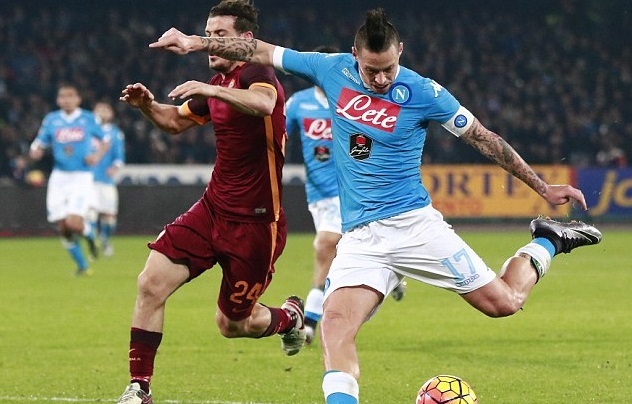 A Serie a clash between two of the top 4 contenders in the league took place this Sunday evening between Napoli and AS Roma. It was kind of must win game for both sides to keep pace with the Inter Milan who stretched their lead on top of the table earlier in the weekend. Roma started the game brighter of the two but both teams canceled each other out for best part of 90 minutes as the game ended 0-0. Napoli now has 32 points and they trail Inter Milan who are top of the league by 4 points after 16 league games have been played. Juventus overtook AS Roma into the fourth place after their win over Fiorentina. AS Roma should be really concerned with their form in last month and half and they have failed to win a league game since 9th November 2015 which dislodged them from the top spot in the league to 5th position.